Is Mary Cleopas the Mother or Aunt of Yahshua? As exceptional an idea as this may be, the Hebrew Nazarene Ecclesia, (“Jerusalem Church”) early became associated with the family and the House of Joseph and Mary. It was the son of Joseph and Mary, Yahshua ben Yosef (Jesus son of Joseph), who as a rabbi of Israel through the most extra-ordinary events of history was thrust into the role of a Davidian aspirant of the throne of Judah. He found His life in violent confrontation with the most powerful Sadducean high priestly family of the House of Ananus. He was captured by the temple security guards under the order of Ananus and Caiphas the high priest and father high priest emeritus and was taken through a “mock” trial by the Jewish Great Sanhedrin. Three he was found innocent of sedition charges by the Roman governor Pontius Pilate and was given to the mob of the high priest for hanging during a time of a great earthquake. He laid in the family tomb of Joseph of Arimathea his maternal uncle for three days during the high days of Passover. Then he arose from the grave in a most profound cataclysmic event when numerous other resurrected “saints” of Israel arose and walked the streets of Jerusalem to testify of this “first fruits” resurrection. Yahshua arose by the power of the God of Israel, whom Yahshua claimed was His real Father. This was the testimony of the Brit Hadassah (New Testament). After the death, resurrection and ascension of Yahshua, the followers of this Jewish Messiah formed the Hebrew Nazarene Ecclesia. Under the reluctant leadership of James the Just, known as Yacov ben Yosef, the ecclesia flourished for their leader was a Tzaddik of Israel, known for his great piety. For thirty two years after the death of Yahshua in 30 CE, James the Just led the Hebrew Nazarenes to become the leading sect of Judea and served as the high priest of the Nazarenes in the temple of Herod. He was the authentic heir to the Davidian-Zadokian Melchezadik (Righteous King) lineage of priest-kings. As a Nazarite, James the Just’s life was dedicated to the God of Israel from birth. The testimony is still stark and clear, James the Just was a priest who wore only linen and entered the Holy Place alone once a year at the Day of Atonement, Yom Kippur. From every bit of testimony, James the Just served as the nasi or high priest of the Nazarenes and the president of the Hebrew Nazarene Sanhedrin in Jerusalem. The fame and honor of James the Just rivaled the power and authority of the high priests of the Jews, the most powerful and famed being the family of the House of Ananus. The House of Ananus was the most powerful of the Sadducean families that bought the office of the high priest from the Romans for it was the most powerful and lucrative financial empire in the western provinces of Rome. Here we find the great reverence given to a righteous man who was called “the Oblias” by the populous of Judea. His esteem and respect cannot be overestimated for over time he became larger than life in the economy of the Jewish people. This was a time of national turmoil that was escalating over the Judean province. This legendary brother of Yahshua was recorded in history by the Clements of Rome, the third president or patriarch (later called by the Christians as bishops) of the Church of Rome, who made these remarks. Here was the same reverence and respect of the tzaddik that his brother Jesus also earned. As the tzitzits or fringes on his garment were touched in true Jewish custom, the holiness of a righteous man would be transferred to the one touching the hem. We see the same imagery with the mantle of Elijah and the miracles the mantle wrought when it was given to Elisha. Here was the legendary power and miraculous works that the mantle or prayer shawl of the Tzaddik wore as he walked and taught. As Jesus was condemned, tried and hanged in the form of a crucifixion by Caiphas the high priest and his father in law, Ananus the Elder, so also in 62 CE, James the Just the son of Joseph and the brother of Jesus was tried for blasphemy. There on the parapet of the temple of Herod, he was murdered by clubbing to death by the priests under Ananus the Younger the son of Ananus the Elder. His body was thrown over the parapet of the temple to the Kidron Valley below and was entombed in what was later renamed the Tomb of Absalom. Upon the death of James the Just, the Hebrew Nazarene leadership met to decide the leadership vacuum in the Nazarene sect. All the known emissaries (apostles) and disciples of Yahshua (Jesus) met during that Sabbatical year convocation at Pentecost. Out of the democratic voting they nominated the cousin and possibly half-brother of Jesus and James the Just who was called, Simeon ben Cleopas. This family dynasty had already produced great leaders and Simeon was also to be exceptional. Here we see several elements in the text of Eusebius. Simeon was voted upon and unanimously was affirmed by all the living apostles and disciples. He was known in history and according to Eusebius was “named” in the “gospel narrative.” The position that he assumed was called the “throne” not the bishopric but as the high priest or the nasi of the Nazarene Ecclesia. The ministry of James the Just brother of Jesus is known in scripture and James’ tensions and life threatening struggles with the House of Ananus are now documented. Simeon early made his mark in the Nazarene society. Like his two brothers Simeon was also known for his piety, his leadership ability in times of crisis. He has also come down in history as a teacher and a scholar. Later Jewish sources attribute the books, the Gospel of the Hebrews, the Ascents of Jacob, and the Book of John as coming from the pen of Simeon ben Calpus (Cleopas). Though lost in the misty fog of ancient history, glimpses of their existence can be seen today. Hugh Schonfield - “a certain aged man from among the Elders… who frequented the Holy of Holies.” (Schonfield, Hugh Joseph, The Pentecost Revolution, The Story of the Jesus Party in Israel, AD 36-66, Macdonald and Janes’s, St. Giles, 49/50 Poland Street, London, W.I., 1974, p234 ). Like his older half cousin, Jacob the Just, Simeon evidently came from recognized priestly lineage and served as the High Priest or Nasi who entered the Holy of Holiest in the years of 63, 64 and 65 CE. Here then were two men, one a brother of Jesus by his father Yosef ben Yacov (Joseph son of Jacob) and the other a cousin of Yahshua, Simeon whose father Cleopas was the brother to Jesus’ father, Joseph. Since both James the Just and Simeon were recognized of the authorized lineages of Zadokian priests, was Yahshua also of priestly descent? Though the testimony is circumstantial, Whiston quoting Suidas’ quotation of Josephus in textual documents not found today, the testimony is still profound. Here Suidas leaves the trace and documentation that Jesus was of the priestly lineage and He did officially serve in the temple of the Lord as any Levitical priest would serve. Yet was Jesus of the lineage of Zadok, the official lineage of the high priest. So the great translator of Josephus makes one affirmation, in his opinion, Josephus, the Jewish priest, commander of the Jewish battalions in Galilee was also an Ebionite-Nazarene and as such a secret follower of Yahshua haMaschiach (Jesus the Messiah). With the two recorded lineages of Jesus in the synoptic gospels of Matthew and Luke, we can now appeal to two quite variant lines, both of which cannot be strict male or patrilineal genetic lines. This is obvious, since even the lineage of David comes from Adam to David through both female ancestress Rehab and Ruth. The Lucian lineage and descent comes from the lineage of Nathan, (Luke 3:23-38) son of King David and the Matthew lineage and descent comes from Solomon. (Matthew 1:1-16) Does the virgin birth actually mean that Joseph’s genealogy was not of a historical or genetic lineage? Did Jesus’ lineage to the House of David actually come through Mary’s lineage instead? Even we note that the Emissary (Apostle) Peter claimed that Yahshua’s lineage came from the lineage of David (Acts 2:30). It was the Pharisee trained by Gamaliel called Paul who also claimed that Jesus was of the House of David (Acts 13:23, Romans 1:3). What then do we know of Joseph’s lineage from King David in the Gospel of Matthew? The Matthew lineage of Jesus goes thru the historical kings of Judah as descendants from Solomon to Jeconiah as the last king of the Nation of Judah. The second part of the Matthew lineage continues from King Jeconiah to his grandson, Zerubabbel, the prince of Israel in Persia who took the Jews back to the land of Judah from their land of captivity in Babylon-Persia to Joseph and Cleopas, sons of Jacob ben Matthan. Who then was this Cleophas as testified in the Gospel of Luke? Was he not the same Cleopas who Hegesippus states was the father of Simeon the second high priest of the Nazarenes? Luke 24:13-18 – “Now behold, two of them were traveling that same day to a village called Emmaus, which was seven miles from Jerusalem. And they talked together of all these things which had happened. So it is while they conversed and reasoned that Jesus Himself drew near and went with them. But their eyes were restrained, so that they did not know Him. Here we have the only Biblical documentation of the man called Cleopas, who went apparently to his home, which was in Emmaus, seven miles from Jerusalem. There to the west of Jerusalem, about 60 stadias (round trip) is the site of former Arab village called Imwas in the Valley of Aijalon, a land of prickly pear cactus which lined as hedges to farm huts and scrub brush. This area was destroyed and bulldozed in 1967 when Israel came in possession and control of this region. 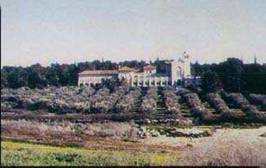 Today the ancient site of Emmaus, the former site of the Arab village called Imwas is now a development of 1,000 acres, Canada Park, that was financed by Jewish people in Canada and dedicated one fourth of the land is agrarian orchard land. 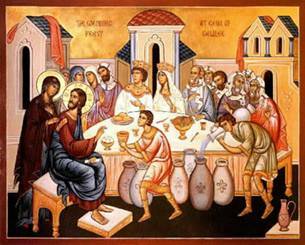 Emmaus was first mentioned as the Syrian camp that was captured by Judas Maccabaeus in 161 BCE. When the Jewish people first rebelled against the occupation by Antiochus Epiphanes IV, one of the most heroic battles was as “Imwas”. Its inhabitants were sold into captivity by the Roman Cassius when they failed to pay their taxes and later the Roman Fifth Legion camped at this town for two years before making their final assault on Jerusalem in 70 CE. 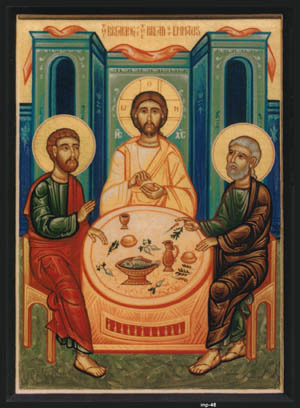 There on the “Road to Emmaus” we are introduced to Chalphai, as he is called in Aramaic. In Greek, Cleopas was called Clopas or Halphaios. In Latin, Cleopas is called Alphaeus. With the identity of Cleopas and Alphaeus being the same, we stood find two other New Testament followers of Jesus: Mary Cleopas and James the Less/Younger or the son of Alphaeus. When we look at the structure of the name, we find that Cleopas (Kleopas, kleh-op-as in Strong’s 2810) is a compound name from Kleos (kleh-os in Strong’s 2811) which means ‘renown’ or ‘glory’ and pater (pat-ayr in Strong’s 3962) which means ‘father’ or ‘parent’. Here we now know his name or title, “Renown Father”. Luke 24:13 – “Now behold, two of them were traveling that same day to a village called Emmaus, which was seven miles from Jerusalem. And they talked together of all these things which had happened. So it was, while they conversed and reasoned, that Jesus Himself drew near and went with them. But their eyes were restrained, so that they did not know Him. So on the road to Emmaus, Jesus is walking and talking with his uncle within three days after his crucifixion. Jesus’ father’s brother, Cleopas does not recognize Him because “their eyes were restrained.” Yahshua He calls Cleopas by his name, Renown Father” (Cleo-pater). That this language derivation is correct, we find in the Mishnah, the Hebrew name Cleopatra is rendered Clopatra in Greek. So also, Cleopas in Hebrew would be translated Clopas in Greek. We now find two other New Testament figures that are associated with this Cleopas or Alphaeus. In the Gospel of John, we find Mary Cleophas, called Mary the wife of Cleopas and Mary the mother of James the Less and Joses, who is also called the sister of Mary the mother of Jesus. Matthew 27:55 – “And many women who followed Jesus from Galilee, ministering to Him were there looking on from afar, among whom were Mary Magdalene, Mary the mother of James and Joses, and the mother of Zebedee’s sons. Then also we have the identity of Alphaeus with Cleophas and a son, who was a disciples of Jesus, James the Lesser, son of Cleopas. All Biblical scholars have a difficult time trying to literally differentiate the grouping of women that are at the cross and later the tomb. Even though each gospel author gives a grouping of three women, it does not mean that the same three woman were named by each of the authors. Matthew states that at the cross were “many woman who followed Jesus from Galilee” and Mark refers to “many other women who came up with Him to Jerusalem”. Even at the tomb, according to Luke, we have a grouping of three women which included also “other women with them”. So we have to ask, as early Christian traditions have alluded, Joseph the father of Jesus was married prior and did according to tradition have one or more sons. Must we consider that Cleopas the brother of Joseph also was married and had a son by the name of Symeon ben Clopas (Cleopas)? Such historical information gives a different picture of a more dynamic family of Jesus than the traditional Roman Christian image of Jesus’ family who was an isolated poor peasant family who lived in Nazareth. Let us again take a look at the list of the siblings of Jesus as recorded in scripture. Matthew 13:55 – “ Is this not the carpenter’s son? Is not His mother called Mary? And His brothers, James, Joses, Simon, and Judas? And His sisters, are they not all with us? Mark 6:3 – “Is not this the carpenter, the Son of Mary, and brother of James, Joses, Judas, and Simon? And are not His sisters here with us? Even the order of the names is not the same. Whereas there are strong traditions that Joseph was an older man and had at least one son by a prior marriage, this son is suggested to be the James the Just, a half-brother of Jesus and not a child of Mary. Yet the Biblical record suggests that James the Less, whom we also identify as James the Just the first high priest and nasi of the Hebrew Nazarene Ecclesia, was also the son of Alphaeus or Cleopas. Though quite controversial, the ossuary or bone box of James the Just son of Joseph was found in a tomb on the side of the Mount of Olives. On the outside is inscribed, “James the son of Joseph brother of Jesus.” The last phrase “brother of Jesus” appears to be added later but Christian scholarship accepts James the Just as the brother of Jesus. Yet during the life and ministry of Jesus, James was identified with Mary and accepted as a brother of Jesus. We also see on this same lists, a Simon, which could be also Simeon or Symeon ben Clopas who was nominated to be the second nasi or president of the Hebrew Nazarene Ecclesia. In the book of Hegesippus he is referred to as the cousin of Jesus. Here we see one possible solution. Jesus was the son of Joseph and Mary. When Joseph dies, the younger son of Joseph, Cleopas, married his brother’s wife, Mary, and subsequently had several other children, which included James the Just and Simeon. Is there a possibility that Simeon ben Cleopas was an older son of Cleopas before he married his deceased brother’s wife and had other children by them? If so, tradition and ancient texts do suggest that Mary did at least become the foster mother of several other children who may or may not have been her own. The dynamics of this family become even more interesting. We have already discussed the possibility that Simeon ben Cleopas was a son of Mary, but if the date of his death and his age at that time is true according to the testimony of Hegesippus, Simeon could not be the son of Cleopas and Mary the mother of Jesus. Three brothers, all three of them were of royal Davidian bloodlines on their paternal lineages. We do know that Mary the mother of Jesus was of the tribe of Levi and now we know that James the Just and Symeon be Clopas were accepted as high priests or nasis of the Hebrew Nazarene Ecclesia and the Nazarene Sanhedrin. This latter suggests that they were also accepted as being born of Levitical bloodlines or Cohenins of the House of Israel. Yet was there a genealogical linkage of Joseph and Cleopas’ bloodlines to the House of Levi? Yes there was! When we study the genealogies of Joseph and Cleopas, whom we have now determined to be brothers according to the testimony of Hegesippus, we find this linkage with the most noble and famous of the inter-testament high priests, Simon the Just. The problem of a legal heir from a family that had only daughters was addresses in the Torah. The daughters of Zelophehad, who had no brothers, had petitioned to Moses for a rare and special exception to obtain the rights of inheritance. As such, they were granted for rights to ownership of land under the leadership of Joshua when they entered into the Land of Canaan. Under these provisions granted to the family of Zelophedad, Heli, the father of Mary, who also had no sons, could transfer legal right to a grandson, through his daughter, of his Davidian lineage. That she married into the Tribe of Judah only insured this legal transfer of inheritance. With the death of Joseph prematurely in the life of Yahshua, the brother of Joseph, Cleopas would be the rightful heir to assume the widowed wife of his brother to be his own wife. Yet even if the birth of Yahshua to a “virgin” with no prior sexual experience is to be assumed then the legal inheritance of Yahshua (Jesus) in obtaining his royal Davidian blood from Joseph is open to suspect. The genealogical lineage of any royal aspirant to the throne of David would assume to come through the side of his father. Yet the lineage of Jesus had one problem; there was a blood curse upon this lineage. The blood curse was by the God of Israel upon all the descendants of Jeconiah (Jehoiachin) in the lineage of Solomon. Study the Matthew lineage of Jesus in Matthew 1:11. Joseph was a direct descendant from Jeconiah through Zerubbabel (a type of a Messiah) to Joseph, the father of Jesus. The paradox is stark and the conclusion is ominous for one in that lineage. There was a ‘blood curse’ that stated, ‘no man’ of Zeconiah’s ‘seed shall prosper, sitting upon the throne of David, and ruling any more in Judah.” Like in the days of Noah when the seed of Adam had been so corrupted that only Noah was worthy to be a descendant of the father of all mankind, Adam. Satan had sabotaged the lineage of Jesus, through the lineage of Solomon, yet once again the Lord of hosts circumvented the problem. Mary was of the tribe of Levi because we know that Elizabeth her cousin was of the House of Levi. We feel that Jesus did trace his priestly lineage through the genealogy of Mary. This genealogy may have been only through the maternal lineages, ie Mary's and Elizabeths's mothers. If so Mary would have had to marry outside of their tribe, such as Levitical daughters marrying into the Tribe of Judah. This is of interest, since in the Beduoin culture of Arabia, the genealogical lineages preserved of their Arabian horses, the most prize lineages are through the maternal or mare lineages. Whether this is reflected in the Arabic, Middle Eastern treatment of human lineages, of which Israel is a part, is not fully known. What we do know is that the standard legal lineage of inheritance is through the paternal lines. A study of ancient Hebrew lineages, does depict the concept of nobles uterine or the matrilineal inheritance of nobility. It is this concept that we must consider in our appeal to the lineages of Jesus as we look for His royal lineage of the House of David and his priestly lineage to the House of Levi. With Jesus recognized as being born to a “virgin’, we are asked to accept the Latin translation, of ‘virgo intacto’, translated as a woman without any prior sexual acts, instead of the actual translation in the Latin text as ‘virgo’ which is more closely replicated from the Aramaic-Hebrew ‘bethua’ which actually means a ‘young maiden’ and does not imply or deny any prior sexual activity. Today almost all of Christendom accepts the fact that Joseph was Jesus’ legal father but not his genetic father. Then we must ask, does God carry and transmit genes? Ron Wyatt, a Seventh-day Adventist respiratory therapist, was famed for his claims of finding many archeological mysteries of the Bible: the Ark of the Covenant, the wheels of Pharaoh’s chariot in the Reed (Arabian) Sea, Sinai at Mount Horeb in Arabia, and Sodom and Gomorrah along the Dead Sea. One of the most controversial is the site of Jesus’ crucifixion and the claim that the “blood” of Yahshua was discovered along with the chromosomal analysis: an XY with only 24 instead of 48 chromosomes. Diagnostic lab results have never been revealed so this fact has never been verified since his death. If this genetic blood is authenticated, then the genetic type of Mary could be ascertained and the genetic type of the Davidian royal bloodline could be verified by DNA testing. What do we know about Mary, the mother of Jesus? Very little! She is represented as the daughter of Joachim and Anna (Hannah) in traditional Christian history. She was by tradition dedicated to the Lord and early placed in the temple under the guardianship of the priests. Was this the temple Sadducean priests or the true lineage of Zadokian priests who separated from the ‘corrupted’ priests and preserved by the little known and mysterious order of the Essenes. The official Jerusalem temple priests were recognized in 1st century Judean society as being corrupted by the Herodians. The office of the high priest was put up for sale to the highest bidder by the Herodians who ruled over Judea. Instead of the house of David, the Hasmoneans or the descendants of the Maccabean family that drove out the Syrian forces of Antiochus Epiphanes IV who desecrated the Temple of Zerubbabel, were now the prime aspirants to the throne of Judea. The Sadduceans were the prime bidders to hold the office of the high priest. They may have been priests and Levites, but were not of the Family of Zadok that King David had put in as the High Priest in the Temple of the Lord. The whole first century religious life of the Jews in the first century was very corrupt. About the year of 12 to 14 years of age, Mary is informed by a white cloaked messenger whom she calls ‘Gabriel’ and the rest becomes a part of the Biblical story. We find Mary going with Joseph to Bethlehem, then fleeing to Egypt, and later returning back to Judea. They end up living in a place called Nazareth or the Village of the Nazarenes which once again appeals to the Essene literature of the Nazoreans and the Nozoreans whose traces are still found in the tribes in the Arabian controlled regions of the Fertile Crescent. What is of interest is that in the present city of Nazareth today, there are no archeological remains prior to the 3rd or 4th century, the town name does not exist on any Roman maps of Roman Judea. Also noted by good historians and geologists, the present city of Nazareth neither has a cliff that the populous could have thrown Jesus over when he went ‘back home’ to teach in their synagogue. Mary is next seen at Cana at a wedding feast, with her son, Jesus having a honored role in the wedding, and she having the appearance of the honored mother. Celebacy was not an honored tradition in the culture of the Hebrew life and the Mishnah and other rabbinic writings were strong in their assent that all rabbis should be married. That the life and ministry of Jesus was conducted as an honored Rabbi is well documented historically. There in the temple of the Lord at Pentecost, the husband of Elizabeth, Zecharias, a Levite priest, was ministering at the altar of incense, when Gabriel announced the conception of John the Baptist. The question that alludes us is, was Jesus on his maternal lineage of the House of Levi? The father of Mary in the Gospel of Luke is named Heli, who was of the House of David through his son Nathan. Yet ancient antiquarian genealogists have now uncovered the genealogy of Joseph of Arimathea. He was of the house of David as recorded in the Gospel of Luke on his paternal lineage. Was Joseph of Arimathea also of the house of Aaron and Levi. The genealogy of Joseph of Arimathea has also now been documented through the ancient genealogies of Charles the Great of the Holy Roman Empire, called Charlemagne. This genealogy came through the same genealogy as documented in the Gospel of Luke except shortened by ten generations. David, King of Israel34 à Nathan ben (son of) David35 à Mattatha ben Nathan36 à Menan ben Mattatha37 à Melea ben Menan38 à Eliakim ben Melea39 à Jonan ben Eliakim40 à Joseph ben Jonan41 à Jude ben Joseph42 à Simeon ben Jude43 à Levi ben Simeon44 à Mattat ben Levi45à Jorim ben Mattat46 à Eliezer ben Jorim47 à Jose ben Eliezer48 à Er ben Jose49 à Elmodam ben Er50 à Cossum ben Elmodem51 à Addi ben Cossum52 à Melchi ben Addi53 à Neri ben Melchi54 à Salathail ben Neri55 à Zorababel ben Salathail56 à Rhesa ben Zorababel57 à Joanna ben Rhesa58 à Jude ben Joanna59 à Joseph ben Jude60 à Semel ben Joseph61 à Mattathiah ben Semei62 à Joseph ben Mattathias63 à Johanna ben Joseph64 à Melchi ben Johanna65 à Levi ben Melchi66 à Matthan ben Levi 67 à Joseph ben Matthan of Arimathea and Heli (Joachim) ben Mattan68 à Anna bat (daughter of) Joseph of Arimathea and Miriam bat (daughter of) Heli68 à Jesus son of Joseph and Mary. When we look at the genealogy in Luke 3:23-38, we notice that it comes through the House of David through his son Nathan. In the Christian traditions, the father of Mary was called Joachim. When we look at the grandfather of Jesus, who in Luke is called Heli or Eli is now known to be the same name as Eliakim which is the same name as Jehoiakim or Joachim. When compare the genealogy of Mary’s father, Heli and the genealogy of Joseph of Arimathea back to King David, they are the same, minus six generations which is highlighted below in blue. The rich man, Joseph of Arimathea, who gave his tomb cut out of stone to bury Jesus when He was taken down from the cross has now been documented to be the great uncle of Jesus through His grandfather, Heli, the father of Mary his mother. Yet the mystery has even more surprises. We now know that Jesus was of the House of Levi through His maternal lineage, Mary, for she was a cousin to Elizabeth who was of the House of Aaron. We must now ask, was Jesus also of the House of Levi through His maternal grandfather, Heli? One genealogical documentation states yes that Jesus was of the House of Levi through his ancestor the famous Simon ‘the Just’ in the inter-testament period of Judea. Jesus was also eligible to be the High Priest of Israel for not only was He of the House of Levi, but was specifically of the House of Aaron through his descendant Zadok who was the high priest anointed by King David for the temple of the Lord. The descendants of Zadok were the recognized approved lineage by God and recognized as the only authentic lineage by the Essenes. Let us look at this lineage. Of the three, Jesus, James the Just and Simeon, one was recognized as the Moschiach (Messiah) of Israel and two were high priests of the Nazarenes who presided in the temple of Herod before it was finally destroyed. It can now be affirmed that Yahshua ben Yosef (Jesus son of Joseph) had documented lineage of the House of Aaron through Zadok his descendant and was qualified to be the legitimate high priest of the temple of Herod between 26 CE till his death in either 30 or 33 CE. There is strong possibility that all three were possibly were half brothers. The documentation is still unclear if James the Just was the son of Joseph before he married Mary or whether James the Just was the son of Cleopas and Mary the mother of Jesus, later known as Mary Cleopas. One sibling was the anointed as the Moschiach of the Jews, who presented Himself as sent from His Father in heaven and as the only Begotten of the Father. The other two became leaders of what would eventually become the largest sect in the land of Judea, the Nazarenes. According to the written history, they both became the oppositional high priests of the Nazarene Ecclesia and officiated in the temple of Herod on the most sacred of Jewish ceremonies, when the high priest entered alone on Yom Kippur into the Holy of Holiest. What is now known is that all three, if they were sons of Mary, were descendants of the House of Aaron through the legitimate lineage of the high priest, the House of Zadok anointed during the reign of King David. If James the Just was not the son of Mary, but by a prior marriage of Joseph then James priestly ancestry is still not known. If James the Just and Symeon were both sons of Mary through their fathers Joseph and Cleopas, they would legitimately have authentic Zadokian high priestly genetic lineage and would have been accepted by the Essenes and the Nazarenes to be the authentic high priests of the House of Israel. Yahshua (Jesus) was the legal son of Joseph and through his bloodline would have been of the house of David except this bloodline had been cursed by the Lord of hosts. Yahshua was the natural son of Mary and through her lineage he was of the royal and high priestly lineage through Nathan the son of David and Simon the Just a descendant of the house of Zadok. Was Theophilus the high priest a friend of the Apostle Paul and the Luke the physician?